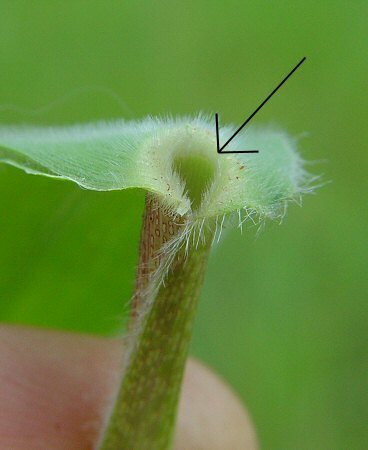 Arrow shows ligule of short trichomes. Habitat - Ditches, low woods, marshes, flatwoods, bogs, wet meadows. Other information - This species can be found scattered throughout Alabama. 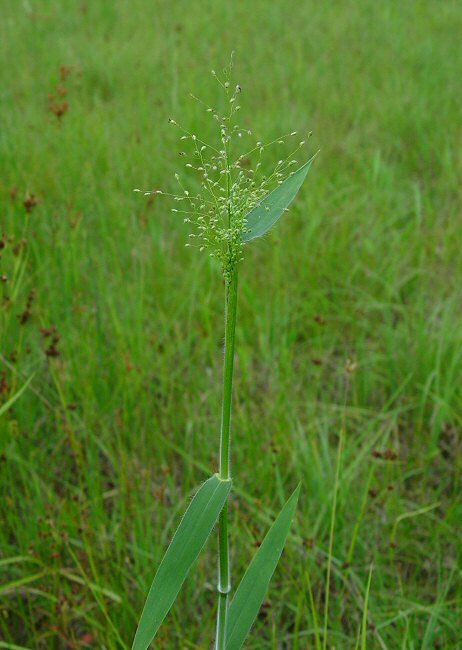 The plant is easy to identify becasue of its villous stems and leaf sheaths. 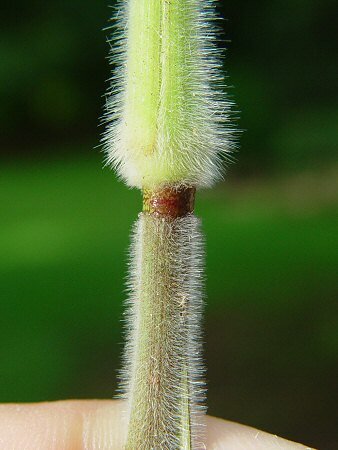 The fuzzy hairs can be seen at a great distance. 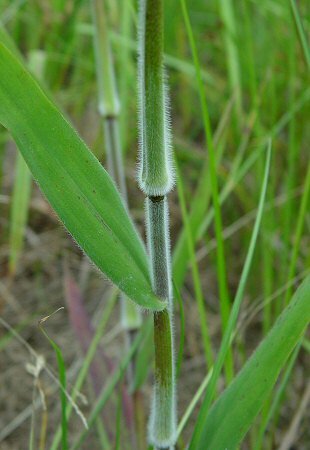 The glabrous band below each node is a good characteristic to look for also. This is a grass that is worthy of cultivation. 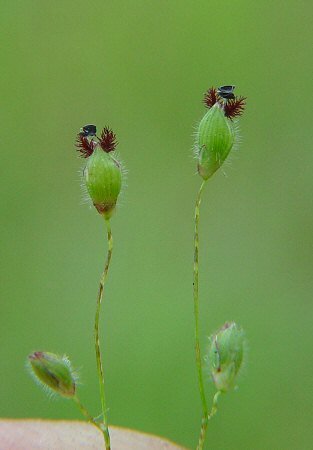 The genus name Dicanthelium derives from the Greek "dich(o)" meaning "two, in two" and "anth(e)" meaning "a flower" referring to the two flowering seasons of the genus. The species epithet scoparium derives from the Latin "scop(a)" meaning "a broom, twigs" referring to the structure and appearance of the plant. Photographs taken off Hwy 80 near Selma, AL., 6-9-05.